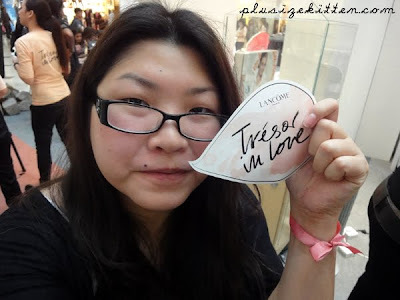 2 weeks ago I went to the Lancome in Tresor Love event at KLCC with Fatin. It was a Saturday morning I was there early with her. 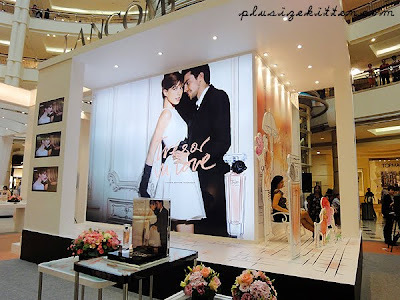 We wanted to take our photos at the mini photo "area" of this event. 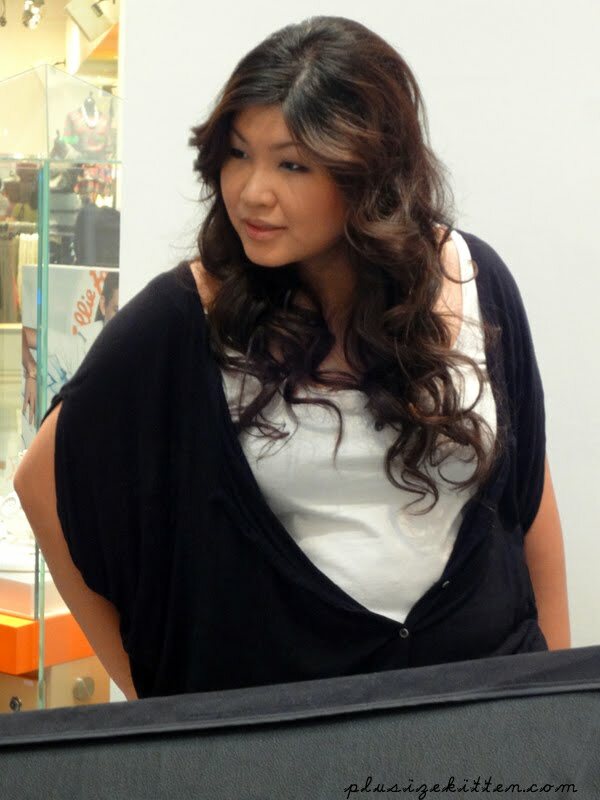 A few days before this, Doroshi had hers taken complete with helium balloons that I bought from my favourite party shop Balloon Buzz, One Utama. The Tresor Love campaign was infective, started with Reiko telling me about it! people came just to snap photos of the lovely "Paris" set up with cardboard dogs. I did not expect to participate in this photo taking session. Fatin was really into it though, she dressed up and was all smiley "let's take photo let's take photo". 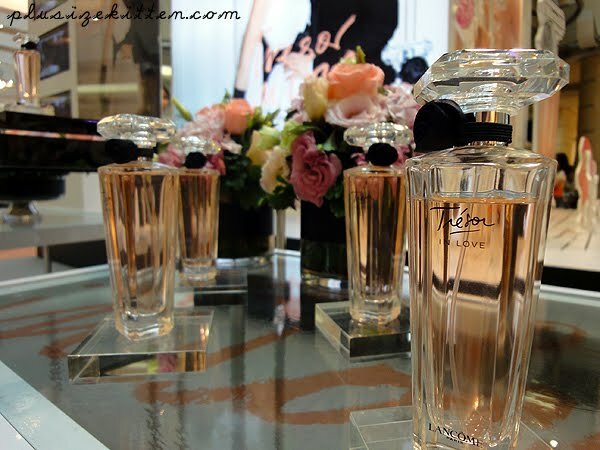 Me, I was on a shopping ban and here I am surrounded by pretty perfumes that resembles Audrey Hepburn. Crap I said in my heart. 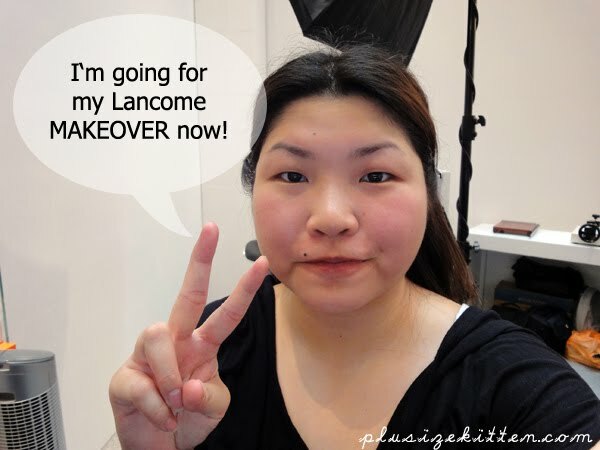 Anyway Fatin got a mini makeover from a nice make up artist who offered. Perfect for what she's about to do. 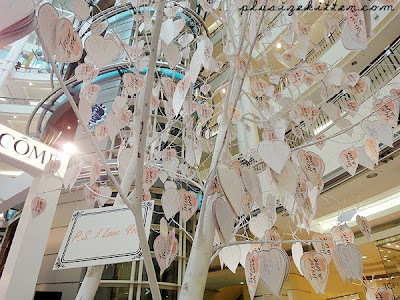 While I waited, I took photos with Fatin's camera. Literally going wild. I have so many photos that Fatin decided to burn for me instead of uploading to Facebook. I particular like this photo of the P.S I love You cards tied to this tree. It was romantic in a way. 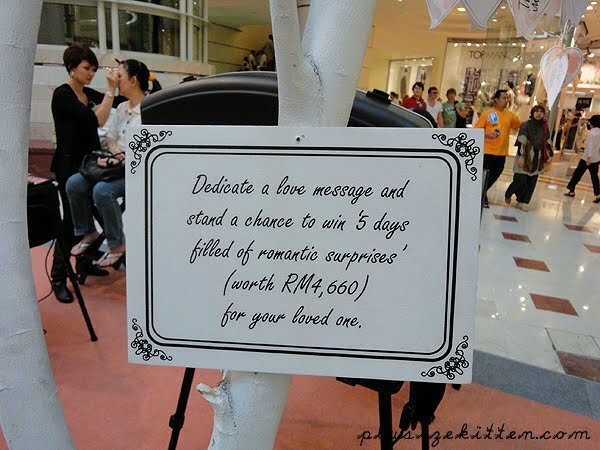 P.S I love You is a contest that you can join if u purchase RM200 above from this event. 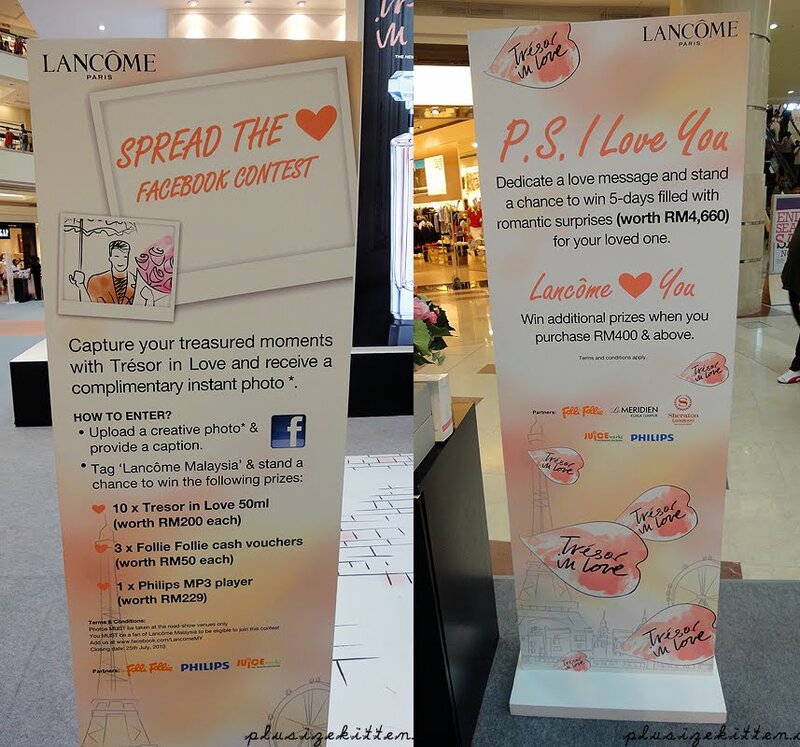 See below for the contests organized in conjunction with Lancome Tresor in Love perfume. Being a romantic person at heart, I was already in love with the perfume (smells so lovely) and it's a tender pink complete with a leather rose.The scent features notes of nectarine, wood, cedar wood, a rose with a luminous jasmine character, bergamot, tart pear, peach, violet and Turkish rose. Tell me you're not impressed? coz I was and I bought one. 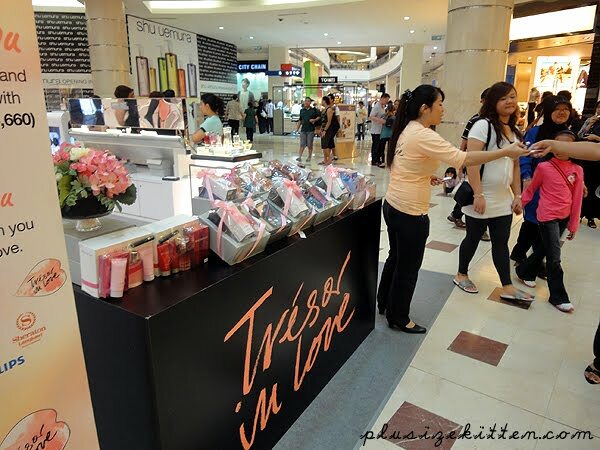 The deal breaker was when Didi (SA) told me if I purchase a 50ml perfume rm200, I will get a complete makeover (make up and hair styling), a JuiceWorks drink, a sample, a Folie Folie voucher and as a Facebook fan a bonus 50ml Tresor in Love body lotion. On top, I would also get a A4 Photo to bring home. Crap! That's the end of my shopping ban. group photo with Tresor in Love girls! So much for in one morning! we got great photos to remember by (and admire), pretty makeovers too. 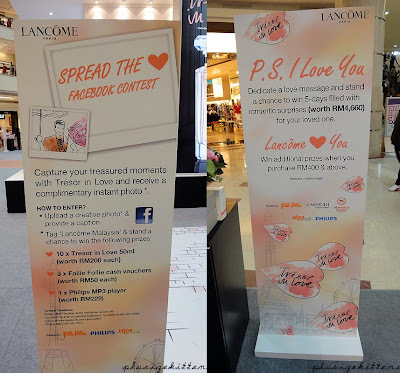 Our photos were submitted online to Lancome MY Facebook for the Spread the Love contest. 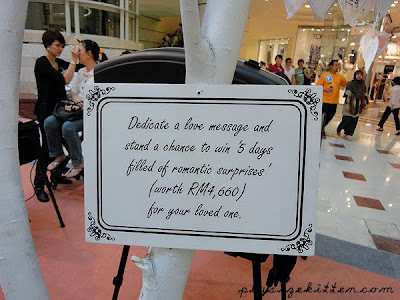 I wished I had more money, coz if u purchased rm400 above at this event, you can get additional gifts (Hotel stay, Hotel buffets, perfume set, skincare sets etc). Well that's based on luck. This is my Lancome Tresor in Love story and I hope there's more events like this in the future! Yes where did you get the dress, i really want one !!!! :D !!!!! Please ask her where did she buy that dress or from which designer is it? 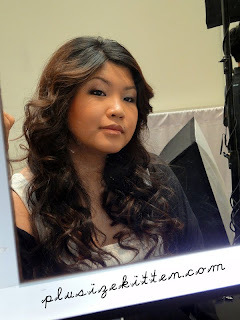 I need it for prom night!! !